Since there are several numbers on the block, we need to identify the ones we're gonna use. 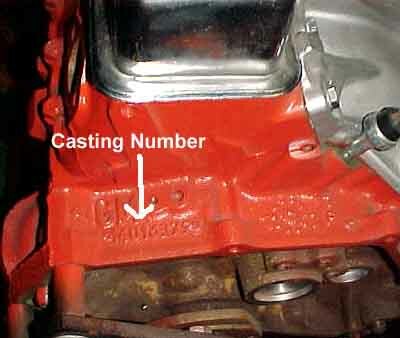 The first one I usually use is the block casting number which is located at the back of the driver's side cylinder head and will look something like: 3970010. The other number is the block stamping ID which is (kinda like the name implies) stamped into a machined pad at the front of the passenger side cylinder head. It'll look something like V0322CMK. 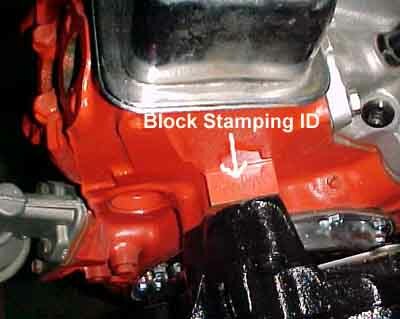 Decode the block casting number first to get the general information and then decode the stamping ID to get the specific application information. This page has been visited times since August 15, 2000.